Claude Lévi-Strauss was one of the most influential anthropologists of the 20th century. The founder of Structuralism, Lévi-Strauss was also notable for his extensive field work among primitive tribes and his (Marxist-influenced) view that the customs and beliefs held by such tribes were in no way inferior to the customs and beliefs held by so-called civilized societies. While other anthropological schools of thought focused on studying the history and material culture of primitive societies (describing their tools, weapons, homes, costumes) or on their social structures (politics, kinship, roles of men vs. women), Lévi-Strauss' Structuralism focused on the harder to define inner life of a society and its members. He attempted to describe systems of meaning and the ways in which these were expressed in a culture's mythologies and relationships of exchange (between individuals within the culture). 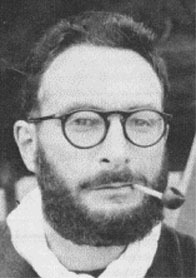 Although typically considered French, Lévi-Strauss was Belgian born of Jewish parents. During World War II he fled the Nazi invasion to teach (for three years) at New York's New School of Social Research. There he became acquainted with a number of American anthropologists as well as other European expatriates. Significant among his friends was Russian semiotician Roman Jakobson. He later returned to France as a professor at the Institut d'Ethnologie, University of Paris, and as a research associate at the National Science Research Fund, Paris. Later he served as professor of anthropology at the Collège de France. He was elected to the French Academy in 1973. In 2003 Lévi-Strauss received the Meister-Eckhart-Prize for philosophy. His most significant literary works include The Elementary Structures of Kinship, The Savage Mind, Totemism, Structural Anthropology, and the four volume work Mythologies. He also produced a popular memoir, Tristes Tropiques.